Energy basic to economic growth: Any economic activity requires some form of energy to keep it going forward. Be it running a nodal center to provide access to outside markets, knowledge connectivity, etc. or transporting people and products from one place to another, or processing food and developing any consumables, etc. Practical solutions: Waiting for major investments and expecting the solutions to sole the energy demand from a central location to enrich the rural parts of the world may take several more decades. 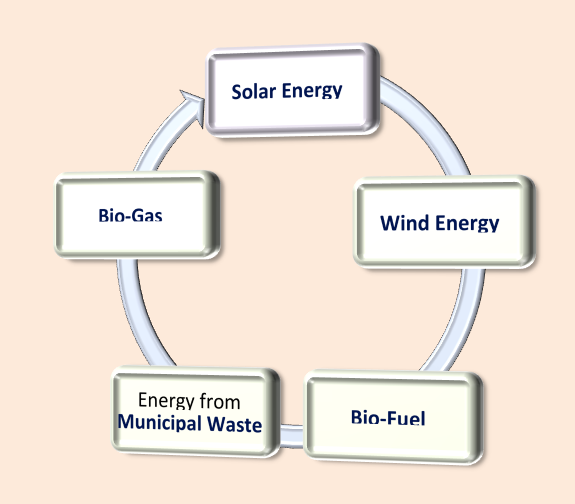 But there are viable and sustainable options that can provide alternatives to centralized energy generation and supply. Renewable Resources: Using locally available resources such as bio-mass, growing plants such as jathropha plant, algae farms, setting up solar photovoltaic cells, wind turbines, tapping geothermal energy, etc. are some of the alternative energy solutions that can be instituted, based on the location, available resources, etc. Affordable and cost-effective: The huge energy demand of over 3 billion people in rural areas is a monumental volume. This shall enable lowering the cost of alternative energy generation, making them affordable in most locations. By learning to harness renewable and naturally available sunshine, wind, bio-mass, etc. the rural communities will reduce carbon emissions and lead the way in carbon neutral living. Energy independence: A number of the Foundation volunteers [individuals and institutions] having expertise in alternatives and renewable sources of energy shall help evaluate the existing energy sources, estimate future demand and come up with sustainable solutions that each can implement and maintain their energy independence. In whatever field we work, we have to remain in the service of the common man whose well-being is central to all human knowledge and endeavor.